Elevated Pulse Productions is a boutique event production company based out of Orange County. 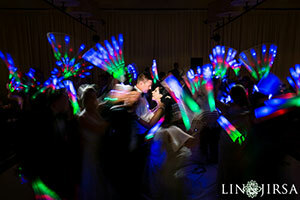 We provide DJ / Emcee, Lighting Design, and Photo Booth rentals for the most discerning Brides. We believe you should not have to sacrifice customer service or professionalism for a fun, modern style. We work closely with our clients to help create an unforgettable event with a musical soundtrack based on your tastes and style, lighting designed to enhance your florals and décor and set the right mood, and loads of photo booth fun for your guests. "Brian and his team went above and beyond our expectations!! Our guests are still talking about how much fun they had and how rare it is to see the dance floor completely packed the ENTIRE night. He understood our tastes perfectly and was great at reading the crowd, plus made sure things flowed perfectly, from speeches, to dancing, to cake cutting, and so forth. Even the planning process was painless with their online system. Thank you for making our wedding so memorable for EVERYONE there!! !